The story below deplicts the true reality of the consequence of how a kid can be spoilt when he/she is stuck in between the parents’ divorce or constant arguement. Sometimes, couples don’t think twice about using their kids as messengers- to pass message to oneto the another. And in order to win favors from the kid (as there seemed to be a hidden contest called ‘Who is the best parent’), the kid is given what he/she wants. And eventually, the kid sometimes grows up to be manupulative adults or being too used to get what he/she wants that he/she does not know how to deal with failure and heartbreak. The Red Kid is the son of the Bull Demon and the Princess Iron Fan- he was a total spoilt brat, thanks to both his parents. Both the Bull Demon and Princess Iron Fan were good pals with WuKong as the three of them had learned supernormal powers from the same teacher when they were kids. The Dream Demon wanted to eat Tang Sanzzang- as all the evil spirits know that whoever who can eat the meat of Tang Sanzang would attained high powers and immortality because Tang Sanzang had practiced and cultivated earnestly for 10 lifetimes. In the real life, the Dream Demon had not much power and could be easily defeated. But in dream, he was powerful- no one, including Wu Kong could defeat him. Knowing his limitations, the Dream Demon instigated the Red Kid, who was very powerful with spitting fire to defeat WuKong. The Dream Demon and the Red Kid managed to lure WuKong into a battle and seriously injured WuKong. The reason why WuKong was lured into a trap was because he had disobeyed his teacher. Earlier, he was abusing his powers to grant wishes to the villagers- the villagers were praising him and so happy- so he felt he was so powerful and his ego was so flattered. So when his teacher openly reprimanded him that he cannot use psychic power to undo fate, his heart was angry with his teacher. So when he was lured by the Red Kid- who angered him by peeing on his head, and his teacher told him not to go, he disobeyed and went ahead. It was something that almost caused his life (the ego is a very powerful deceiver- it makes us feel great but it can also be our destroyer if we are not careful). 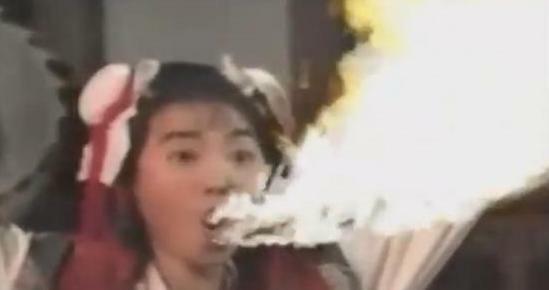 The Dream Demon also instigated the Red Kid to spit out fire that burned and killed the entire village- the villagers had actually protected Tang Shazang and his disciples with courage- but perished as the result. And yet, in his parents eyes, the Bull Demon and Princess Iron Fan both loved their son and could see no fault. All they could see is that their son was still young and innocent and would not have injured anyone on purpose. 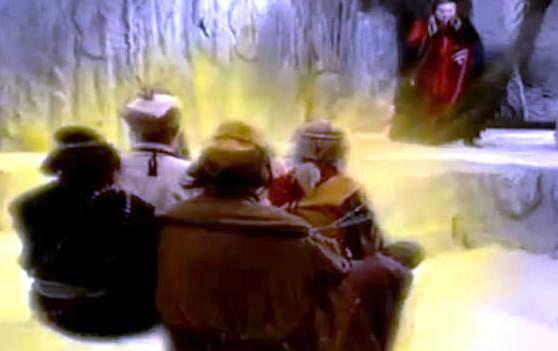 Guan Yin came to heal WuKong and told Wu Kong to ask the Red Kid to see her as the Red Kid had the teacher-disciple link. Bull Demon had womanized after the Red Kid was born. And Princess Iron Fan was equally quick tempered and angry. Both wanted the Red Kid to love them- and how they do it was to give him ‘toys’- like the shoes that can make him fly or the pills that cause one to spit powerful fire, etc. Initially, the Red Kid was an obedient, hardworking and intelligent child- but because his parents made him took sides and tried to bribe him since he was young, he grew up to be a total spoilt brat. 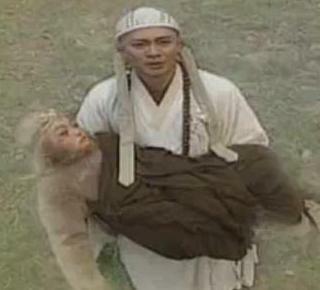 WuKong said he had to fulfilled Guan Yin’s instructions- but when he went take him- he found Red Kid was asleep. Red Kid went into the dream and the Dream Demon was taking revenge (as he himself was also bullied by the Red Kid). The parents, being very concerned, went into the dream world- but all their powers were ineffective in the dream world. The Dream Demon said he would release their kid if both parents were to hit and injure themselves- in which they obliged. The Red Kid, seeing how his parents loved him unconditionally, truly repented and begged the Dream Demon to release the parents. Anyway, to cut the long story short, eventually the Dream Demon was defeated when Tang Sanzang and all his disciples, in the dream was united in heart and chanted the Heart Sutra with faith. (Even at a seemingly impossible situation, we can overcome obstacles and problems. It does not matter even though the odds are stacked against us. We need to have courage and faith to do our best- for even though we may not win, we would surely gain something. Sometimes, people tell me they have to break their principles when it comes to work- just to earn a living. But if there’s a will, there’s a way- it depends on whether our principles is strong and firm enough to withstand the pull of money). The Red Kid realised all her wrongdoings and was very very remorseful. She ready to go follow Guan Yin to assist Guan Yin to help the world. She was to walk and kneel on every 10 steps all the way to heavens to show her sincerity. In the end, she assisted Guan Yin and helped many people to answer their prayers. Many kids today grew up in circumstances similar to the Red Kid. When both father and mother cannot get along and are hurt by each other, often they force their kid to take sides. Who the kid loves love was always the center of the theme. When the parents eventually divorced, the kid is often stuck in between. Each one wants to show off their power, money or the fact they are happy. Do you think it is healthy for the kid to go and see his father hugging his new wife who is probably half his age and his mother being in the arms of other men? Or if she did not then she kept complaining and being bitter all the time? Both still want to fight for the kid’s favor by bribing him with gifts, gadgets, Disneyland trips, money, car, etc. The kid soon learns that he would only need to go and complaint that his mom is ill treated him, put on a sad face and his dad would buy something to console him. And he would go back home and play the same drama with his mom. This would only deepen his parents’ conflict. If you give a kid what he wanted, he may grow up to be spoilt and manipulative. In the end, the grown kid would resort in various manipulative ways to get what he wanted because it was the only way he knew how. Deep down inside, like everyone else, he also desires true happiness but he would use the wrong ways to obtain it. And what is obtained through dishonest means would soon go away. I am not saying everyone from a broken family is like that. Like the Red Kid, the parents eventually realized their error and blame themselves for causing the Red Child to be bad and to have to commit countless sins. The child is still growing up- and an intelligent child can be molded to do good or the other extreme….to resort to evil. A child soon learns that by behaving in certain ways, he could get all desired toys and can we blame him for growing up with that belief? It is very sad that when a couple who no longer see eye to eye had to drag their children into their drama and their unhappiness. If they could not agree on anything, at least learn to look beyond their own misery for the child’s sake. Don’t spoilt the child and cause the child a lifelong of unhappiness.